I thought it might be interesting for blog readers if I were to share some of my process, so I will try to put up more of my sketchbook pages in future - starting with this squirrel. Enjoy! Materials I painted this happy squirrel using mainly Winsor & Newton watercolours. At the moment I use a combination of Cotman and Professional colours (I try out a colour first using the cheaper Cotman tubes and then replace it with Professional once I've used it up). I also use Kusakabe watercolours that I bought when I was in Japan. I painted this on Bockingford HP watercolour paper. Research Almost everything I paint requires me to do a bit of research. For this one I did a quick Google image search (there were no squirrels to hand in the garden!) and sketched a few to better understand their faces and posture. I find that the research kind of filters through later when I'm drawing from imagination and just helps to create more believable characters. From Wednesday 9th August until Tuesday 15th August I am running a 20% discount in my Etsy shop (no minimum spend!). Enter the code SUMMERHOL20 at the checkout. Click here to head over to my Etsy. I have been adding items to the shop, like my Alice in Wonderland illustration and some square greeting cards. I will try to add more soon but I desperately need to get back to working on some new art now before I forget how to draw! 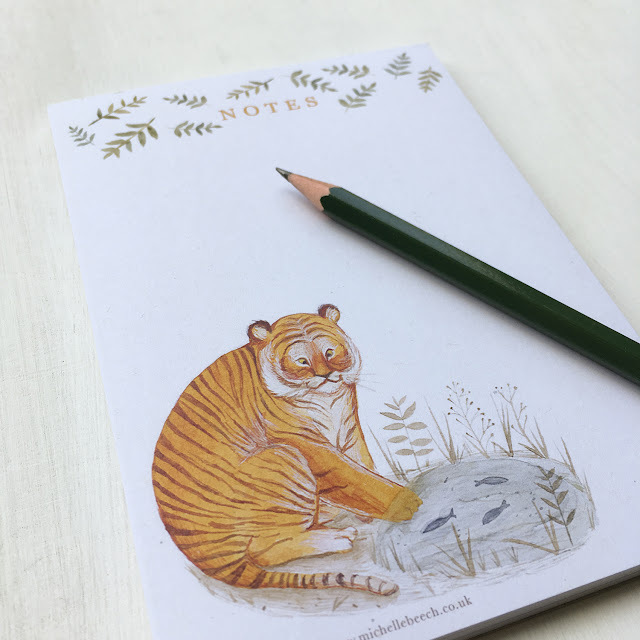 I know it's only just turned autumn but if you're getting a head start on Christmas please know that I am running a free shipping sale in my Etsy shop for all UK orders over £15! 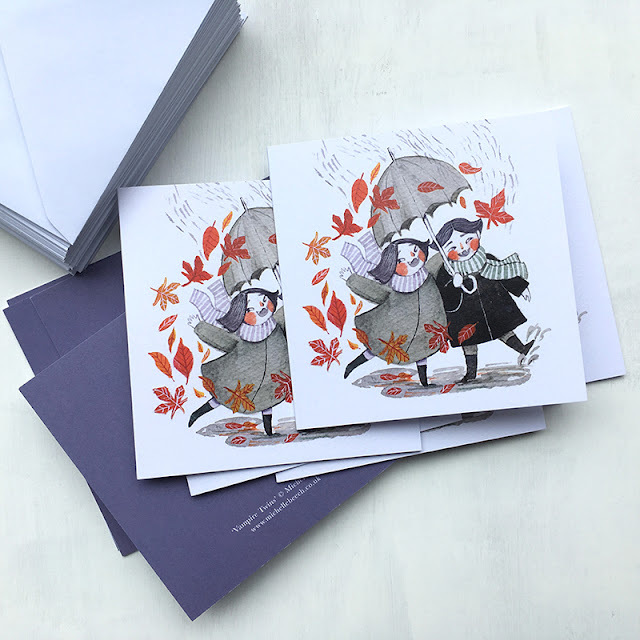 I've also added a few Christmas card designs too :) But if you're not thinking as far ahead as that, my vampire twins illustration is available as a card if you wish to send spooky greetings for Halloween. 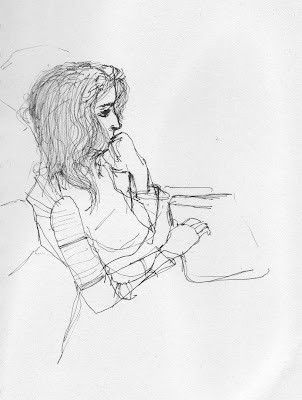 Illustrator with a love of watercolour, pen and pencil. Graduate of Falmouth University, now living and working in beautiful Devon.